BoGy Games Blog - Indie Mobile Games Studio: What now? Our BoGy team is working really hard on new things... We've got different ideas for all kind of new games. 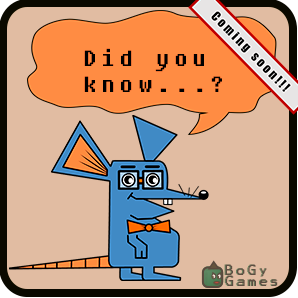 The first game we want to introduce is Did you Know...? Did you Know...? is not only a quiz but also a free game with amazing questions and incredible answers. It has multiple stages and several themes. It is easy to play but hard to master.